Well, it’s happened again–we’ve reached the start of another US presidential election cycle. 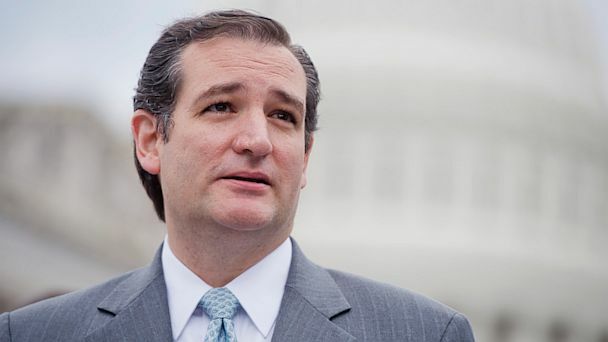 Ted Cruz is the first candidate to declare his intent to run. Now, when I started this blog in August 2012, we were most of the way through the presidential election cycle, so I need to make some decisions about how I’m going to write about it this year. So far, here’s the plan–every time a major candidate declares intent to run, regardless of party affiliation, I will write an initial post analyzing the candidate as a statesman in an attempt to determine whether or not the candidate is fit to govern a society. Beyond that, I will write about controversies that interest me as they arise. Candidate Background–whether the candidate has the educational background to govern wisely as well as whether the candidate has likely acquired dangerous biases through connections to vested interest groups. Policy History–the sensibleness and effectiveness of any policies the candidate has voted for or against, implemented or obstructed. Explicit Statements–the sensibleness and reasonableness of any positions or beliefs the candidate has clearly or explicitly stated. Contrary to popular belief, Ted Cruz’s background indicates that he is not obviously stupid. Cruz has a BA in public policy from Princeton and a JD from Harvard focusing on constitutional law. This is roughly equivalent to what Barack Obama has (a BA in political science from Columbia and a JD from Harvard focusing on constitutional law). Constitutional law is not without its merits–these lawyers have a very thorough understanding of the way the country’s extant political system works. The weakness is that people with this background have not been trained to think about what the political system should be used for, only how it may be used. They are often much weaker with the substantive academic fields–the social and natural sciences. This makes them vulnerable to becoming pawns of academic traditions they are ill-equipped to evaluate. This is reflected in Cruz’s undergraduate thesis, which was about whether the constitution permitted the federal government to expand its powers. Not whether it should or how it should, but whether it could as the law is written. I’m a constitutionalist. For over 200 years, marriage has been a question for the states. Now personally I believe in traditional marriage between one man and one woman, but if you want to change the marriage laws the way to do it constitutionally is to convince your fellow citizens to go to the state legislature and change it. It shouldn’t be the federal government or unelected judges imposing their own definition of marriage. We should instead respect our constitutional system. By attempting to reduce all substantive normative political issues to descriptive constitutional debates, Cruz dodges debates he is not academically well-placed to win and avoids seriously accounting for his beliefs. By treating the constitutional debate as descriptive, Cruz hides the reality that constitutional lawyers do not agree on how the constitution should be interpreted and that their different views reflect and are influenced by their normative and substantive political views. I have a little more to say about #2–as I mentioned before, Barack Obama is also a constitutional lawyer by training, yet he holds very different views from Cruz. This is because Obama and Cruz subscribe to different theories of judicial interpretation. Obama is a loose constructionist–he believes that the constitution is a living document and that the best way to interpret it changes depending on the context. Loose constructionists believe that judges should take a pragmatic approach, even if this means deviating from the letter of the law. By contrast, Cruz is a strict constructionist–he believes that the law should be read to the letter even when this results in rulings that seem to yield bad outcomes for wider society. Cruz believes that when this happens, we should change the law rather than reinterpret it to suit the situation. This is an old debate in constitutional law and there are Supreme Court justices on both sides (e.g. Breyer is a clear loose constructionist; Scalia is a clear strict constructionist). There are many arguments given by both sides for these interpretive positions, but for the most part, these arguments are smokescreens. What is really going on is that a strict constructionist view favors conservative rulings–our laws were written in the past and tend to espouse moral and political views that are conservative, sometimes even nakedly reactionary. So conservatives adopt the strict view simply because it helps them advance their conservative political beliefs. By contrast, leftists take the loose constructionist position to avoid having to make conservative rulings that many left leaning judges feel would be morally or politically damaging. A person’s constitutional view is little more than a reflection of that person’s moral and political views. The notion that law is somehow apolitical is (and has always been) a sham. Constitutional arguments are misleading political tactics used to avoid having to engage in substantive debates about what would really be good or bad for our society. As long as unelected judges are making legal decisions, they decisions they make will have political and moral consequences that judges will be influenced by. To pretend otherwise is delusive. So a person with a background in constitutional law is more or less a person with a background in argumentative obfuscation. There is no reason to believe that such a person has any substantive expertise in making substantive moral or political decisions, in running a government. Obama has had to rely very heavily on outside advice in all the major areas of statecraft, and his performance in various policy areas merely reflects his ability to distinguish good advisers from bad ones. When Obama gets an issue right, it is a matter of good fortune, not a matter of Obama employing a deep personal skill set in any given policy area. Cruz opposed net neutrality, which is an excellent policy for the reasons given here. Cruz opposed raising the debt limit, alleging that the size of the debt was creating a fiscal crisis. While intuitive, this position advances a deeply flawed understanding of how government borrowing works, which I pointed out in my very first blog post. Cruz opposes Obamacare, despite clear evidence of its efficacy. Cruz just recently denied global warming–this has been debunked by PolitiFact. Cruz opposes immigration, despite clear evidence that immigrants are a net benefit to the economy and government revenue. Cruz is not a stupid person, but the skills he possesses have no relevance for governing. He should not be president.